SAMYO was founded in 2002 by Milapfest, thanks to a partnership programme fund from Youth Music. Milapfest recognised the need to give young talented musicians more high profile opportunities to grow in their careers, including performances, training and development work. 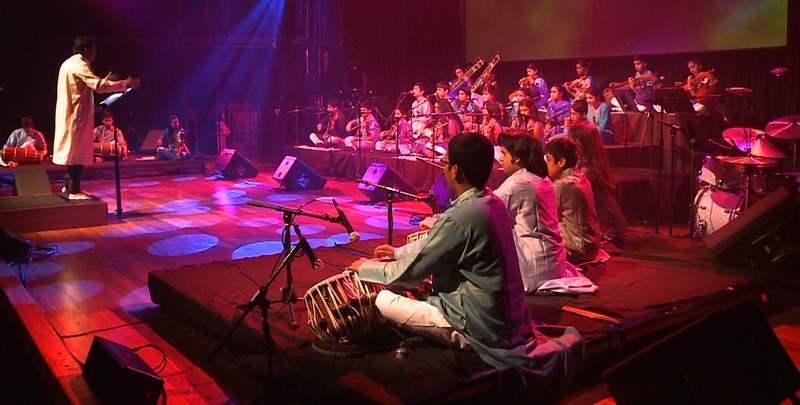 The National Foundation for Youth Music, a national charity that exists to support music making in 0 – 18 year olds, supported Milapfest’s vision, and the orchestra was born. SAMYO began a process of training and performances, centring around a Summer Retreat, which took place in partnership with the SAA-uk Summer School in Leeds. The orchestra went on to perform a debut concert at The Lowry, in Salford Quays, and performances at the QEH in London, as well as appearances in Leeds and Birmingham. Take a look at the links on the right, for some highlights from our history!